Meayll Circle, Meayll Hill, or Mull Hill. Also known as Mull Circle, the site is a megalithic chambered tomb covering an 18 metre diameter circle. 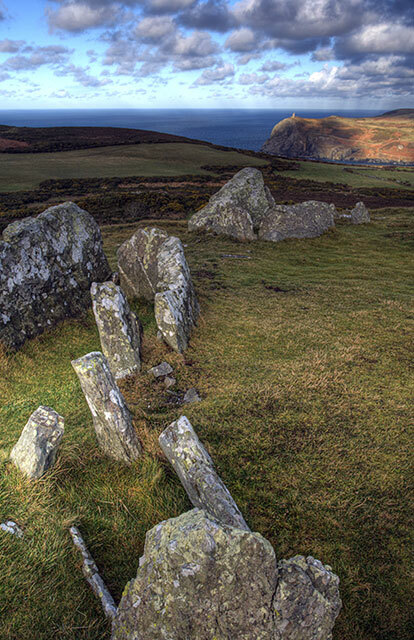 There are six pairs of graves believed to be from the late Neolithic or early Bronze Age. © Copyright Andy Stephenson and licensed for reuse under this Creative Commons Licence.